This entry was posted on Thursday, February 18th, 2010 at 1:51 pm	and is filed under Appetizers, Historical Figures and Events, Sandwiches, TV and Film History. You can follow any responses to this entry through the RSS 2.0 feed. You can leave a response, or trackback from your own site. The sandwiches look delicious – and I thank you for all the film links. So appropriate as we come up to The Oscars! There are so many fascinating characters who only become known to those afficianados in a relatively narrow field. 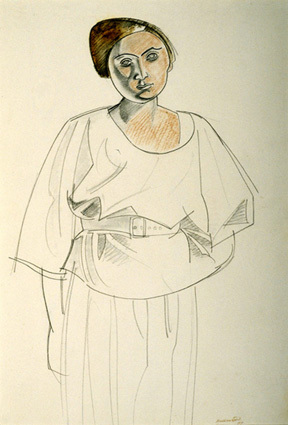 I can’t thank you enough for writing this post on a pioneering woman in many ways and for the wealth of information about her and MoMA’s plans to pay tribute to her original programming. And the recipe? 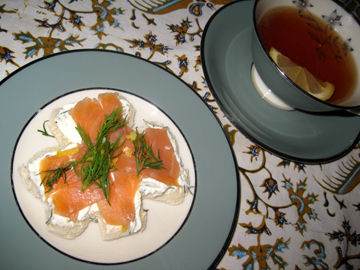 I actually had a lox and bagel sandwich for lunch today, and I agree that film and fish go together very well! Thanks! I found this all fascinating. Very very interesting that films were made to please women. Thin brown bread might be an alternative . . .
Iris… I love that name. She sounds like quite the woman, forward thinking. Thankfully she recognized saving these old films before they were gone. Great links, I’m going to check them out, thanks. Thank you for the post about Iris Barry. 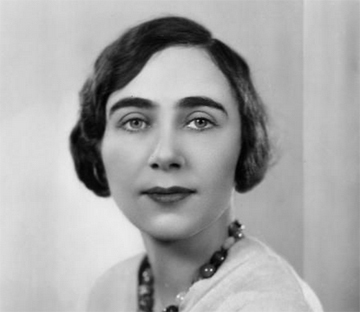 I loved her book about DW Griffith, but I never knew about her history. This is such a fascinating post as I’d never even heard of her! I’m off to learn more post-haste. Sounds like a fascinating woman. Thanks for the lovely post and the lovely recipe. I thank my short time in England for instilling within me a deep love and passion for a proper pot of tea. I loved this, Tinky. Wondered if you were going to get to food, but didn’t really care once I got into Iris’ life. 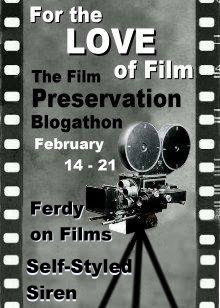 I’ll check out the blogathon right away. And I’m forwarding this to a few friends who will be interested. Thanks again for a delicious morning diversion. Wow. I LOVED this piece! 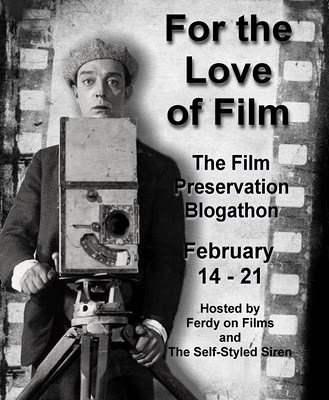 Although I am a lover of film – especially those early days of film up through the 40’s – I had never heard of Iris Barry. I want to know a lot more about her now. What a fascinating woman. And I bet Iris would also have eaten caviar on thin buttered dark bread along with her tea – maybe with a little sieved hard-boiled egg on top – when she was flush! I do love smoked salmon. I loved the piece concerning Iris Barry. One of the most critical things I think she must be credited with is raising the awareness of Film as a part of a Museum setting. Heretofore (I just like using that word) very little consideration was given to film in this type of setting. This article, on Iris Barry, is terrific, Dr. T.! For those of us who thought we pretty much knew the cast of characters in that particular place and at that particular time, you’ve introduced a new and fresh face. Thank you! I’m a bit skeptical about Ms. Barry’s assertion that cinema was for women, but I realize that surely must explain why at matinees of Steven Seagal (“It doesn’t work if the bad guys kill his mother’s uncle’s friend’s neighbor’s pet dog. You’ve got to make the stakes high.”) films, that I’m the sole male in the audience. I had not realized that the action film genre had its feminine side, but of course, why not? If only for her efforts at promoting the preservation of films she is well worth remembering. My reaction to the tea sandwiches was warm simply because they were obviously designed for a masculine appetite – they’re rather generous if not downright hearty. However, after an afternoon of avid movie-going, I suspect Ms. Barry would love to share them with, say, Penelope Gilliatt and Pauline Kael. Did they ever meet? “My Dinner with Andre” would appear even less vigorous compared to tea with those three women – a combination that has the potential for a real action film. Peter, I’m afraid Iris retired to France too soon to participate in that dinner party–but it would make a great play! Again, a fascinating and wonderful post. I know of Iris Barry, but knew nothing of her. I only began to learn about Barry’s significance a year ago when I was doing research on Douglas Fairbanks, whose films Barry secured for the MoMA collection, and who received what might have been this country’s first star retrospective at the venue shortly after his death. It’s great to read this piece that begins to fill out a character I had only a vague sketch of until now. Thanks for visiting, Brian. Barry was a big fan of Fairbanks……..
Do you know if Iris Barry and Salvador Dali ever traveled together? Where they in New Orleans together (at the same time) in March and/or April of 1949? Melissa, it sounds as though you have MUCH more information than I! Let me know what you find out, please.